A decade ago, Virtual Reality (VR) looked like a technology that had already enjoyed its moment in the sun. After Nintendo's Virtual Boy and the movie Lawnmower Man brought the concept into the mainstream in the early '90s, VR quickly fizzled out. The Virtual Boy was a commercial failure, discontinued after less than a year, and the technology which had presented itself as a cutting edge vision of the future was consigned to the ash heap of history. Here in 2016, however, VR is undeniably back on the agenda. 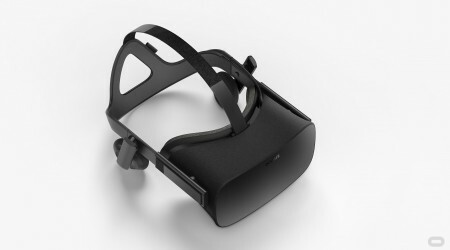 That turnaround began in August 2012 with the $2.4m (£1.7m) Kickstarter campaign for the Oculus Rift. Three and a half years later, Oculus' first commercial model is nearly ready, due to launch this spring. In that time, a number of tech's biggest names have thrown their hats into the virtual ring. Google, Samsung, Microsoft, HTC and Sony have all since revealed their own VR headsets – not to mention Facebook, which acquired Oculus in March 2014 for $2bn. For a market that was previously lifeless, there are a remarkable range of devices on the horizon, and ABI Research forecasts combined VR shipments of 43m by 2020. “2016 is going to be a watershed year for VR,” says David Anderman, chief business officer at Jaunt, a VR content producer which has worked with everyone from Budweiser to Paul McCartney. Looking at the swell of devices being shown at this year's CES, it's hard to argue with him. There are plenty of individual differences between the first wave of headsets (see VR Headsets panel for a full breakdown) but broadly they can be divided into two categories. There are high-end dedicated headsets like the Oculus Rift, and entry-level mobile headsets, best exemplified by Google's DIY viewer, Cardboard. The biggest difference between these two is simply the price. While the Oculus Rift is launching at $599, a Cardboard unit can cost as little as one or two dollars from some sources. This is a huge advantage for these mobile viewers, which ABI expects to outperform the more expensive headsets by a factor of five or even 10. 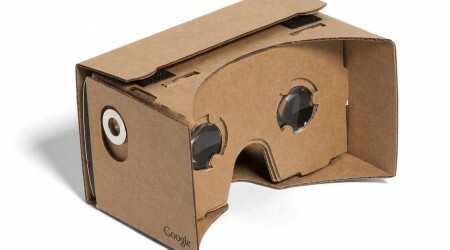 The price of Cardboard and other mobile viewers also benefits any brands wanting to try out VR for the first time. It lowers the barrier to entry, meaning brands which want to roll out Cardboard viewers in store don't have to risk too much money on a new idea. A number of brands have eagerly adopted the technology, though, from Qantas Airlines to Budweiser, Westfield to the New York Times. Right now, that generally means 360° video, which both YouTube and Facebook added to their mobile ad offering in 2015, and which retailers are able to offer in store through Cardboard or similar low-cost headsets. For home users, 360° videos work like any other video ad, but with the ability to pick which direction they want to look in as the video plays. This kind of video was used to great effect in promoting Star Wars: The Force Awakens – Facebook debuted its 360° ad offering with a video which put users in the midst of Jakku, one of the film's settings. These videos are cheaper to produce than full interactive experiences, and can be watched even if the user doesn't have a VR viewer, navigating by dragging on the screen rather than moving their head. Jaunt's Anderman says 360° video is “a fantastic on-ramp to VR” – the implication being that they're not a true example of VR's full potential. 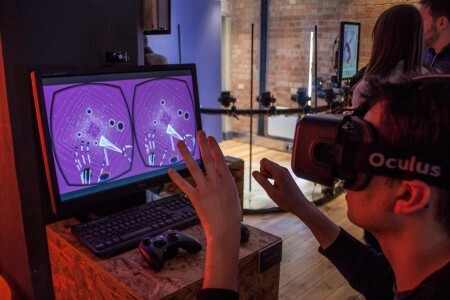 Some marketers are exploring full-fat VR experiences, though. Alex Lambert is creative director of Inition, a production company which has crafted bespoke VR experiences for the likes of Topshop, Selfridges and Nissan. After walking me through a selection of Inition's work – dropping me in the middle of an orchestra's practice session; out of a plane, with the help of a huge motion platform and computer-controlled fans; into a “totally trippy experience” created for a gin brand, meant to capture the sensations of mixing a cocktail – Lambert tells me about the power of 'telepresence', “being able to put people in places they'd never be able to go”. They're not the only ones to see this opportunity. In one of Facebook' Q&A sessions last September, CEO Mark Zuckerberg described Oculus as a way for wearers to “literally teleport to a scene and look around, and it feels like you're actually there”. It sounds like a perfect fit for travel and tourism brands, something which Virgin Holidays showed nicely last year with its 'Virtual Holidays' campaign with Manning Gottlieb OMD. Visitors to its physical stores could virtually visit locations using a Google Cardboard headset, pushing up sales of trips to those places and landing it a raft of gongs at the 2015 Effective Mobile Marketing Awards. It's not only travel brands which can benefit from transporting users to other places, though. The possibilities stretch far beyond holiday destinations – whether taking them to fictional worlds or shrinking them down to see the world from a whole new perspective. This is the other big sell for brands getting on board with VR – the opportunity to show that they're on the cutting edge. As Jaunt's Anderman puts it: “If you're the first to give someone a VR experience, the consumer is going to remember that.” However, there's a thin line between 'innovative' and 'gimmicky', and brands need to be sure they're not just doing VR for the sake of it. Of course, this is equally true of marketing delivered via any kind of technology, whether it's an ad on the mobile web or a branded app. The early days of mobile saw a lot of bandwagon-jumping, as did the early days of the web. When it was first announced, the Cardboard almost sounded like a joke at the expense of Oculus and co. A VR headset literally made out of cardboard, selling for less than a single per cent of the price? But Cardboard has already succeeded in putting the technology in the hands – or on the heads – of many who wouldn't otherwise have tried VR, one of the main reasons it was awarded Most Innovative Use of Mobile at our 2015 Effective Mobile Marketing Awards. Building on Cardboard's foundations for cheap mobile-compatible VR, the Gear offers a more robust plastic casing, with a built-in touch panel for controlling apps, and a smoother overall experience. Though it only works with Samsung's top-tier handsets, the success of the Galaxy and Note ranges mean the potential install base isn't limited too much by that. 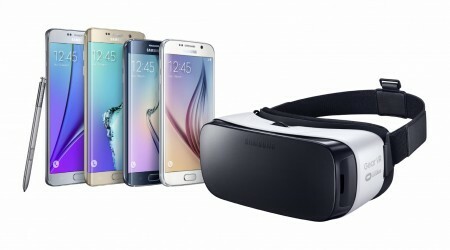 The Gear VR also represents a first foray into mobile for Oculus, which provided the technology behind the device. The VR company that started it all, Oculus has the advantage of brand name recognition, at least in enthusiast circles. Facebook's acquisition of the company raised concerns among fans that the Rift would no longer be a gaming device. But with two games bundled in with the first model, an Oculus Touch gaming controller following later this year, and some hefty system requirements for compatible PCs, the company's focus seems to be unwavering – for now. 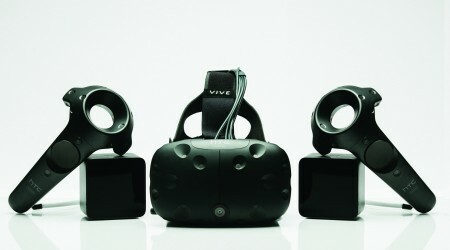 If there remains any doubt about Oculus' intentions, then the Vive – the result of a partnership between phone manufacturer HTC and Valve, the PC gaming giant behind the Steam distribution platform – is definitely shooting directly for the core gaming audience. Its big USP is the ability to track users' movements through the accompanying Lighthouse devices, enabling them to explore virtual environments by stomping around their real-life living room. 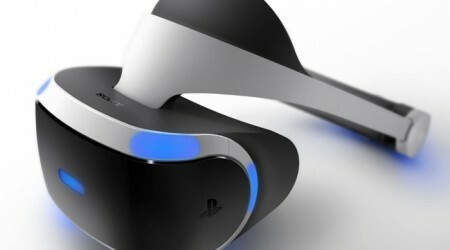 Previously known as 'Project Morpheus', this headset's biggest advantage is most likely its association with the PlayStation brand. While the Vive and Rift require users to have a high-end gaming PC, Sony's offering is compatible with the PlayStation 4, which has shipped 35.9m units since launch. Partnerships with the big-name developers who make games for the PS4 also meanit's more likely to score VR gaming's first killer app. Outside of sport, the biggest opportunity for VR in traditional media right now is news. The New York Times recently distributed 1m flatpack Cardboard units with its weekend edition so readers could access its NYR VR project, starting with a film on the refugee crisis. “A lot of the news media look to the NYT for an idea of what they should be doing next, so that was a big deal,” says Mark Challinor, CEO of Media Futures and president of the International News Media Association. This article first appeared in the February 2016 print edition of Mobile Marketing. You can read the whole issue here.